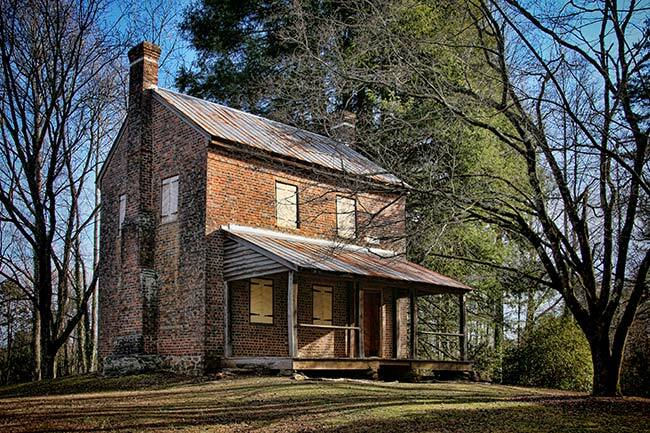 The Oconee Station State Historic Site is located near Walhalla, just off the Cherokee Foothills National Scenic Highway. The fieldstone blockhouse was built in 1792 and used as a military outpost to guard against attacks by the Cherokee Indians. The brick house pictured below, known as the Richards house, was built in 1805 by William Richards. He was a soldier who fought nearby during the Revolutionary War and decided to stay once the war ended. 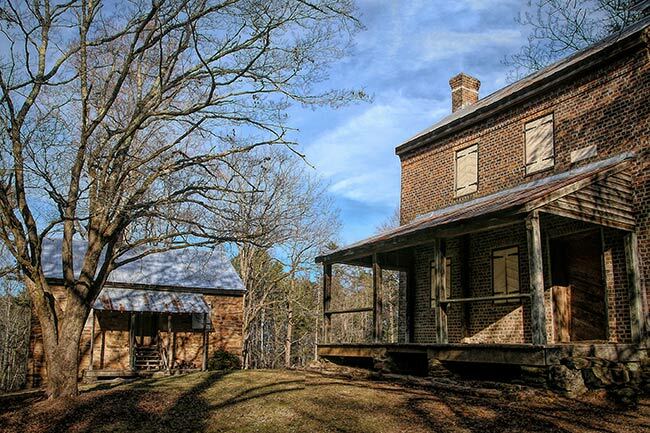 It is thought to be the first brick house built in the northwest corner of South Carolina. Oconee Station was erected before 1760 to afford the few settlers nearby a measure of protection against numerous Cherokee Indians in the area. 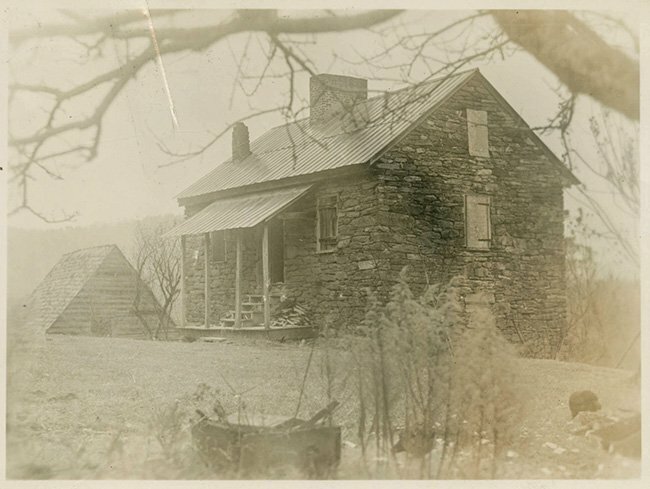 It was the last of three guardhouses built by Lt. Col. Archibald Montgomerie, who commanded English and Scottish troops in ill-starred 1762 attacks on Cherokees. The building marks the farthest point in South Carolina to which white settlers ventured prior to the Revolution, and is believed to have housed British soldiers, at least periodically, until after that war. During the early 1800s the Indians used the building as a trading post. Later it became a storage place for furs, and then a residence. It is a rectilinear fieldstone building with a gable roof, two-foot thick walls, a wooden lean-to porch with four supports in front of the main entrance, and a large central chimney. The adjacent Richards house, constructed in 1805, is believed to be the first brick house built in the northwest corner of the state. It was erected by William Richards, one of three brothers who came to this area as soldiers under Col. Montgomerie, and decided to stay here after the Revolution. During the early nineteenth century the house served as a stagecoach stop. It has two stories and a basement, a fieldstone foundation, and is constructed of handmade brick laid in a combination of English and Flemish bond. Do you have any pictures of the stage coach stop on the South Carolina side of the river (Tugaloo), it was originally owned by my great grand parents either Kessler or Poole. That would be wonderful! Their email address is oconeestation@scprt.com, hope you have a great time if you do end up volunteering there and thanks so much! Fascinated with this history. I now live in Mountain Rest, and interested in volunteering as a docent here. Several years experience as docent in other locations in South Florida. Who do I contact to pursue this? Excellent visit on 5-16 with very knowledgeable park staff employee. Five stars!